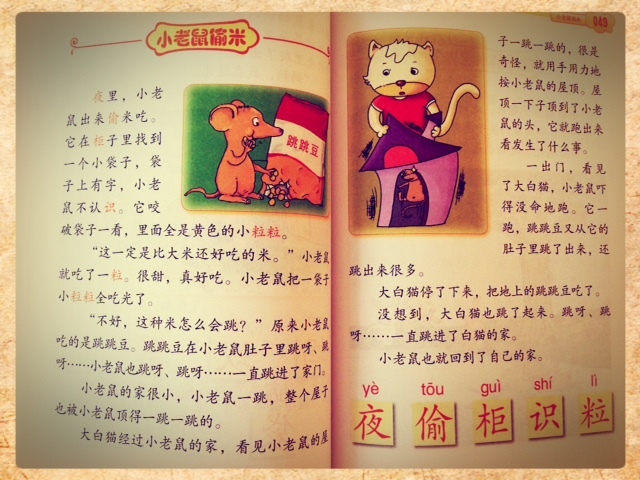 Siwukuaidu is the series of Chinese Literacy book that I used to teach my #3 how to read Chinese. You can read my review on the series here. I have also created templates for Chinese Characters cards for this series for free downloads. There are altogether 7 volumes in the series, the first six contain the core of the programme and the 7th being like a consolidation of learning for the entire series. After the main series came out, the author published an additional book to complement the series. This additional volume contains stories written using the characters taught in the first six volumes, plus additional characters in each stories. By the end of this volume, the child would have learned 273 new characters. Together with the 552 characters taught in the first six volumes, the child would know in total 825 Chinese characters. Based on my experience, knowing this amount of Chinese characters would allow the child to read roughly up to Primary 4-5 level of Chinese. Characters recognition is different from vocabulary. The child can recognise enough characters to read a simple newspaper article but may not know enough vocabulary to understand it. Hence, reading widely is important for gaining more vocabulary. This Storybook edition of Siwukuaidu is meant to complement the first six volumes by providing some material for the child to read for enjoyment using what he has already learned in the first six volumes. As we know, there are so many Chinese characters. 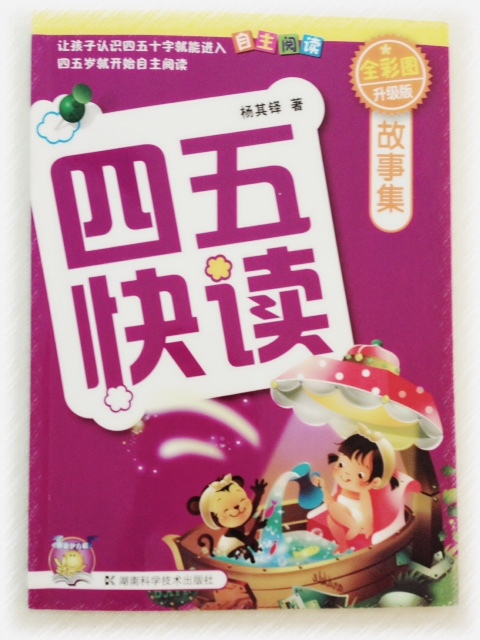 It is quite difficult to find storybooks that uses mainly the Chinese characters taught in the Siwukuaidu series. Hence, this additional book was written to meet this need. The stories are simple. The content is probably more suited for lower primary level as it contains a lot of simple stories and animals as characters. There are 50 stories in the book, the first 8 do not contain any new characters. From the 9th story onwards, new characters are introduced in each story. Some stories have more new characters than others. The new characters are listed at the end of the stories annotated with their Hanyu Pinyin. The whole point is for the child to read this volume all on his own and not rely on someone else to read it for him. Technically, if he has heard enough of the language, when he comes across an unfamiliar Chinese character, he should be able to guess what it is from context. Even if he cannot, he should still be able to understand the story. The Hanyu Pinyin annotations are meant to help the child to self learn and self read. I read the book together with #3. I don’t read it to him but I will listen to him read. To check that he has learned the new characters, I would sometimes test him. Parents may find it helpful to have word cards for this purpose so that you don’t have to cover up the Hanyu Pinyin in the book to test your children. Hence, I created the character cards for this particular volume as well. They are of the same size as the character cards of the first 6 volumes. The template for the characters cards can be download for free here. The templates for the series itself can be found here.